While Ed Darino is widely known for his breakthrough special effects and animation work, few have seen his talent with the video camera, scripts and the production of a thrilling docudrama. More than 15 years after he began working on a film he hoped would promote his native Uruguay, he feels his docudrama may finally have a chance to be seen and enjoyed by film buffs and enthusiasts around the globe. Now 60-plus years old, Darino grew up in Montevideo, Uruguay, where he studied to become a lawyer and edited science films to pay for his education. To relax, he went to the Cine Club del Uruguay and became entranced with Norman McLaren’s films. Watching the films over and over, he became enthralled with the work of the Scottish Canadian animator, director, producer. With a Fulbright scholarship to the U.S. where he attended NYU, he expanded his expertise and portfolio by animating Superman, Snoopy, Garfield and other popular characters in the U.S., Uruguay, and India. In addition to teaching at Pratt Institute, lecturing at New York University and experimenting with digital animation; he found time to create over 300 teasers and trailers for major pictures and shows over a 30-year period. Ed was in constant demand for his creative production work and enjoyed teaching new animators. He found it personally rewarding to develop new animation/computer graphics techniques which were widely acknowledged by his peers and the industry. But despite receiving 30-plus international film/animation awards including recent recognition for his New York Virtual Tour, Gaviotas (an homage to McLaren), Digital Brush and Migraine; one of his most important projects – Guri – The Young Gaucho – was still really incomplete. In the early years of his film production career, Ed was introduced to HBO’s CEO Frank Biondi and he outlined a three-film plan highlighting the rich history of Uruguay. The first project was Guri which was based on Serafin J Garcia’s tale at the turn of the 18th century and was to be shot with complete authenticity in the Uruguay countryside. His team included Eli Wallach, director of photography- Roberto Gardiol and music by H. Jasa as well as Uruguayan folklorist and medical traumatologist, Santiago Chalar – Editor-Director: ED. Darino noted that Chalar was added because he was a widely recognized poet, composer, musician and singer in his homeland and alternated between his medical and guitar practice. “He was able to add the grit and reality we needed to show what life was really like for young gauchos in that period,” he emphasized. With an introduction by HBO’s Biondi and his own ability to tell a spellbinding story, Eli Wallach signed on as Guri, the lead character for the film. Popular for his character portrayals in such films as The Magnificent Seven, The Misfits, and The Good, the Bad and the Ugly, Wallach immediately said yes to playing the lead in the film. In the 18th century, for a gaucho to be a man, all he needed was a knife, horse, and guitar; which fit Wallach like a glove. 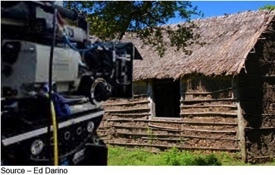 Shot in the countryside of Uruguay, the crew used wild cattle, sheep, actual sod/wooden homes and even a local witch. Despite the political turmoil in the country, Wallach, Darino and the crew spent more than eight weeks shooting the film in the often cold, wet, rugged terrain. 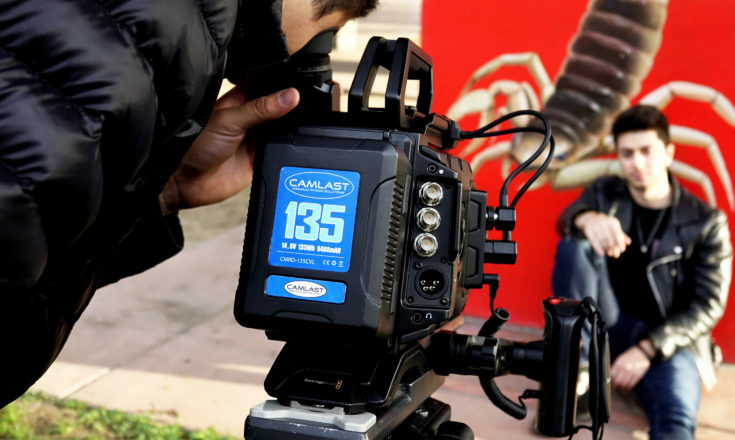 Arri’s most advanced cameras at the time (the mid-1990s) – the Arriflex 435 – and experimental lenses from Carl Zeiss were used to capture the beauty and drama of the wild country frontier. 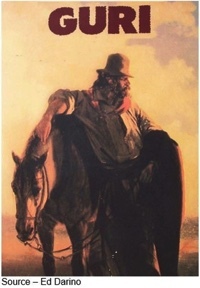 “While his performance in the spectacular ‘The Good, The Bad and The Ugly’ was that of a lying, two-faced, money-hungry, lovable bandit; as Guri, he was a strong father…counseling the young man, determined to make his way as someone who could be counted on in the bristling frontier,” Darino explained. “There was literally nothing he wouldn’t do to show the strength and tenderness of Guri,” he recalled. “We found an old witch in one of the small Uruguayan villages who we ultimately convinced to be in the film,” said Darino. “Wallach spent days with her, learning everything about the history and the lives of the country’s gauchos to the point he looked forward to experiencing their hardships and their conquests. From Darino’s perspective, those few minutes of the film were the most memorable because he showed the gaucho’s determination to shear the sheep and the sheep’s’ determination to escape any way possible. 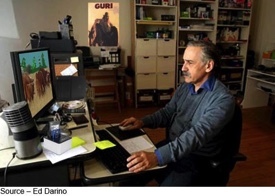 Wrapping the shoot in Uruguay, Darino returned to his New York City studio and spent several months editing and putting the final touches on Guri. He produced two versions–a full feature film that would play on HBO and a condensed version which was to be released to the educational market. 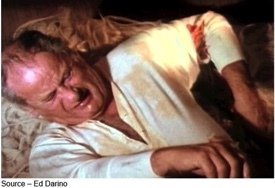 When Biondi left HBO, Darino’s three-title package evaporated and only the condensed educational film was released. HBO released the rights to the docudrama to him and it sat for years in the dark recesses of his personal library while he returned to his teaching at Pratt, NYU and animation experimentation. When he was diagnosed with stage 4 cancer, the distribution of Guri took on a renewed importance to Darino. He had the celluloid master digitally converted and began remastering the film. 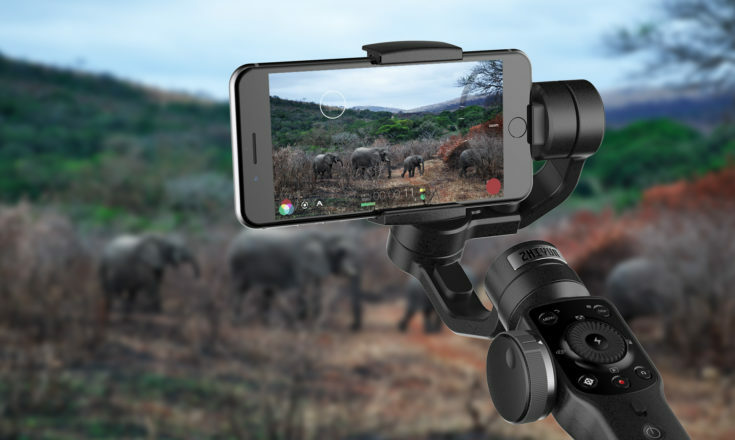 Over the past year, Darino has re-edited/enhanced the color/clarity of the images and remastered the audio of the film using Adobe Premiere and Final Cut Pro and storing the intermediate and final work on his OWC ThunderBay 4 mini. At every stage, he copied his work from SSD to archive hard drives using his Drive Dock … just in case. 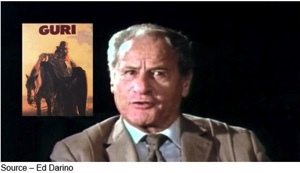 Now completed, Darino has posted the full film on YouTube (https://youtu.be/d6gEFuTvBq4) and the trailer on Vimeo ( https://vimeo.com/271942366) and has begun the most difficult part of the process–discussing the distribution of his docudrama. He’s exploring options with Netflix, Hulu and HBO as well as the growing number of streaming options available. “This is probably the toughest part of filmmaking today,” Darino noted. “There are so many really good independent filmmakers today with great ideas to educate and entertain the viewing public. Even with the emergence of services like Netflix, Hulu, Amazon Prime and the multitude of other viewing opportunities that having the right partner is the key.